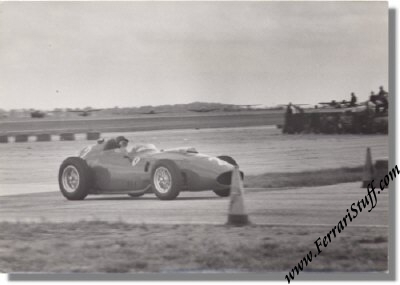 Vintage 1959 photo of Tony Brooks on Ferrari 246 at the Grand Prix of the USA at Sebring. 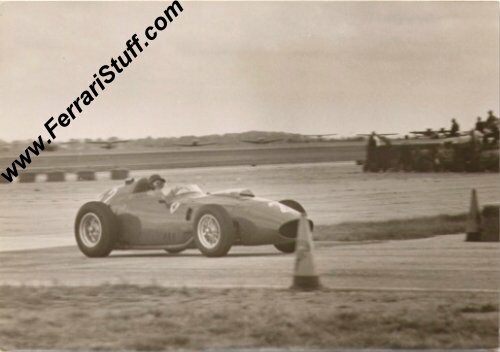 This is a vintage 1959 B&W photo of Tony Brooks at the wheel of his Ferrari 246 F1 during the 1959 Grand Prix of the USA, held at Sebring. 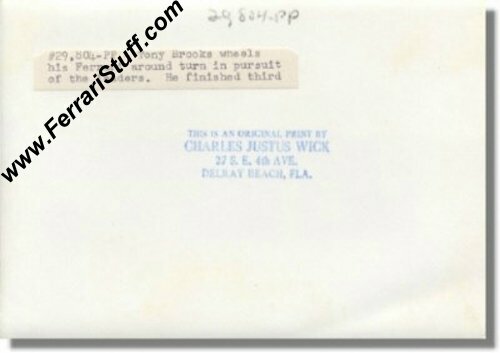 This was the first ever GP in the USA. It measures approximately 7 x 5 inches. This is S/N 0004, built in 1958 and is of the small tube chassis frame variety. This is the same car in which Luigi Musso had his fatal accident during the French Grand Prix held at Reims on July 6, 1958. The car was raced extensively during the 1958, 1959 and 1960 seasons and was raced by the above mentioned Luigi Musso and further by Wolfgang von Trips, Phil Hill, Jean Behra (amongst others a win at the Aintree 200, 1959), Cliff Allison, Olivier Gendebien, Froilan Gonzales and of course Tony brooks. 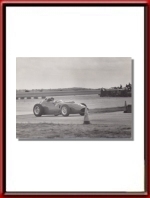 The car was broken up at the end of the 1960 season but somewhere during the 1960's Sir Anthony Bamford of the UK acquired the engine from the factory. In 1980 Graypaul Motors created a replica of the car which now seems to reside in Japan. 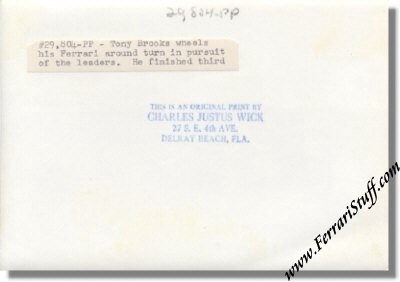 Tony qualified 4th with a time of 3'05.9 and finished the race in in 3rd position, a royal 3 minutes behind winner Bruce McLaren on Cooper Climax.